18 out of 20 and it is an ok beer … what???? Revised as per your critique. I’ve had it since, and was far less impressed. That stuff is awesome! So chocolatey!!! I tasted this beer for the first time a few days ago at a place called “Anvil” in Houston, Texas. I was hesitate to try it at first but after the first taste I couldn’t stop drinking it. I love it. if you’re a fan of guinness, you will LOVE this beer. I do have to say it is yummy! I love stout and this one is wonderful. 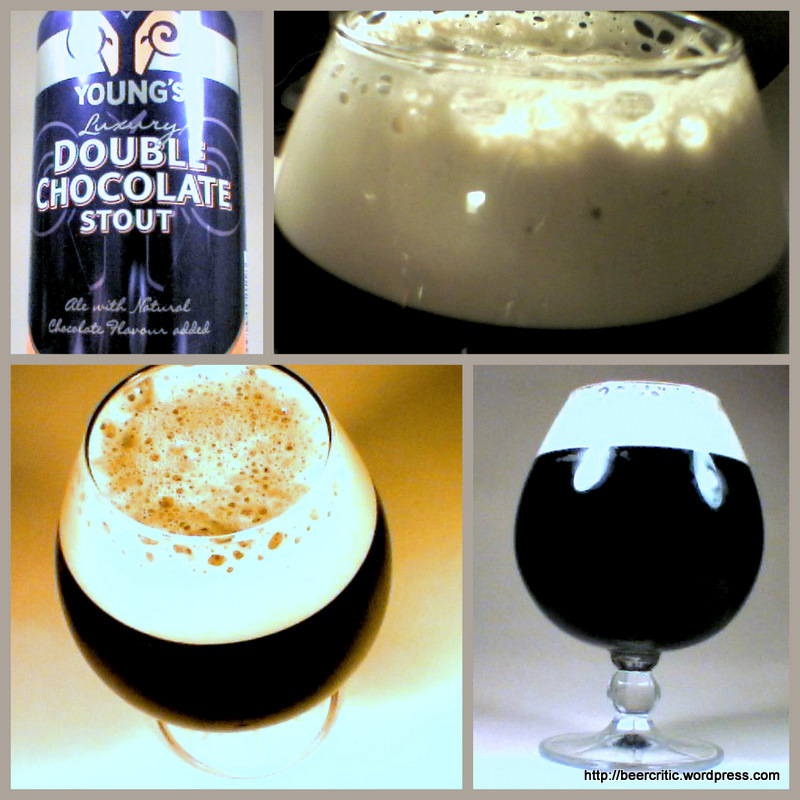 I use to be a Guinness girl but my new love is Young’s double chocolate! I noticed your photo of the DC stout was a can. My wife and I have found the taste of the canned version is not nearly as great as the bottle. It seems to have a slight metallic taste. Try the bottle and you will be very happy with this stout. We are home brewers and put a clone version of Young’s Double Chocolate Stout in the bottle 2 weeks ago. Can hardly wait for 2 more weeks to try the outcome.